Claustrophobia, or the fear of enclosed spaces, affects approximately 10 percent of the population. If you’re not claustrophobic, you may not regard working in a confined space as a dangerous endeavor. However, confined spaces can pose unexpected hazards, and OSHA reports that every year in the United States, about 90 deaths occur involving confined spaces. The good news is, however, that safety measures, such as manhole ventilation, can be put in place to mitigate the risk of working in a confined space. 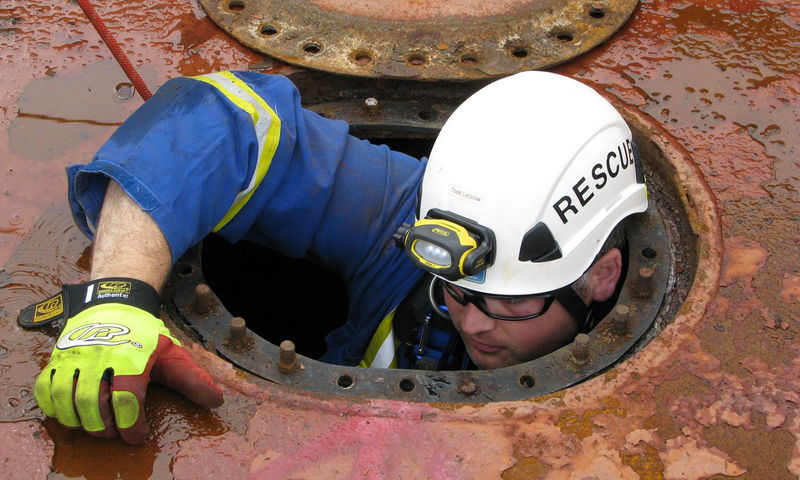 A confined space isn’t necessarily small and restrictive, although many are. At the very least, a confined space is large enough for a person to enter, but it is not designed for continuous human occupancy and the means of exit are limited or restricted. For example, grain silos are quite large, with the capacity to hold thousands of pounds of agricultural products such as corn, but they are still considered confined spaces because not only are they not designed for continuous human occupancy but shifting piles of grain or other material could ensnare or bury an individual inside. Fires and flooding are potential hazards in confined spaces due to the difficulty of escape. A person can also suffocate or asphyxiate in a confined space due to reduced oxygen levels, noxious fumes, etc. Workers should be trained on how to handle a hazardous situation in a confined space, and workers should also use the buddy system so that if one is performing a task within a confined space, the other is ready to call for help should an emergency arise. Risks and hazardous conditions should be assessed prior to every task inside an enclosed space, and workers should always have a plan detailing what exactly to do if something goes wrong. Because confined spaces can be so hazardous, workers should never enter one unless it is necessary to do so. Even then, some spaces are so hazardous that one requires a permit to enter.